Neo-Confucianism (simplified Chinese: 宋明理学; traditional Chinese: 宋明理學; pinyin: Sòng-Míng Lǐxué often shortened to 理學) is a moral, ethical, and metaphysical Chinese philosophy influenced by Confucianism, and originated with Han Yu and Li Ao (772-841) in the Tang Dynasty, and became prominent during the Song and Ming dynasties. Neo-Confucianism was an attempt to create a more rationalist and secular form of Confucianism by rejecting superstitious and mystical elements of Taoism and Buddhism that had influenced Confucianism during and after the Han Dynasty. Although the Neo-Confucianists were critical of Taoism and Buddhism, the two did have an influence on the philosophy, and the Neo-Confucianists borrowed terms and concepts from both. However, unlike the Buddhists and Taoists, who saw metaphysics as a catalyst for spiritual development, religious enlightenment, and immortality, the Neo-Confucianists used metaphysics as a guide for developing a rationalist ethical philosophy. Neo-Confucianism has its origins in the Tang Dynasty; the Confucianist scholars Han Yu and Li Ao are seen as forbears of the Neo-Confucianists of the Song Dynasty. The Song Dynasty philosopher Zhou Dunyi (1017–1073) is seen as the first true "pioneer" of Neo-Confucianism, using Daoist metaphysics as a framework for his ethical philosophy. Neo-Confucianism developed both as a renaissance of traditional Confucian ideas, and as a reaction to the ideas of Buddhism and religious Daoism. Although the Neo-Confucianists denounced Buddhist metaphysics, Neo-Confucianism did borrow Daoist and Buddhist terminology and concepts. After Zhu Xi, Wang Yangming (1472–1529) is commonly regarded as the most important Neo-Confucian thinker. Wang's interpretation of Confucianism denied the rationalist dualism of Zhu's orthodox philosophy. While Neo-Confucianism incorporated Buddhist and Taoist ideas, many Neo-Confucianists strongly oppose Buddhism and Taoism. Indeed, they rejected the Buddhist and Taoist religions. One of Han Yu's most famous essays decries the worship of Buddhist relics. Nonetheless, Neo-Confucian writings adapted Buddhist thoughts and beliefs to the Confucian interest. In China Neo-Confucianism was an officially-recognized creed from its development during the Song dynasty until the early twentieth century, and lands in the sphere of Song China (Vietnam and Japan) were all deeply influenced by Neo-Confucianism for more than half a millennium. In medieval China, the mainstream of Neo-Confucian thought, dubbed the "Tao school", had long categorized a thinker named Lu Jiuyuan among the unorthodox, non-Confucian writers. However, in the 15th century, the esteemed philosopher Wang Yangming took sides with Lu and critiqued some of the foundations of the Tao school, albeit not rejecting the school entirely. Objections arose to Yangming's philosophy within his lifetime, and shortly after his death, Chen Jian (1497-1567) grouped Wang together with Lu as unorthodox writers, dividing Neo-Confucianism into two schools. As a result, Neo-Confucianism today is generally categorized into two different schools of thought. The school that remained dominant throughout the medieval and early modern periods is called the Cheng-Zhu school for the esteem it places in Cheng Yi, Cheng Hao, and Zhu Xi. The less dominant, opposing school was the Lu–Wang school, based on its esteem for Lu Jiuyuan and Wang Yangming. Zhu Xi's formulation of the Neo-Confucian world view is as follows. 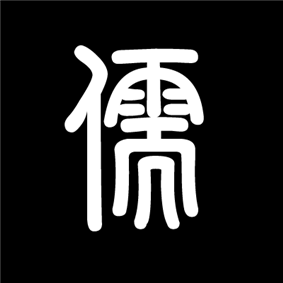 He believed that the Tao (Chinese: 道; pinyin: dào; literally: "way") of Tian (Chinese: 天; pinyin: tiān; literally: "heaven") is expressed in principle or li (Chinese: 理; pinyin: lǐ), but that it is sheathed in matter or qi (Chinese: 氣; pinyin: qì). In this, his system is based on Buddhist systems of the time that divided things into principle (again, li), and function (Chinese: 事; pinyin: shì). In the Neo-Confucian formulation, li in itself is pure and almost-perfect, but with the addition of qi, base emotions and conflicts arise. Human nature is originally good, the Neo-Confucians argued (following Mencius), but not pure unless action is taken to purify it. The imperative is then to purify one's li. However, in contrast to Buddhists and Taoists, neo-Confucians did not believe in an external world unconnected with the world of matter. In addition, Neo-Confucians in general rejected the idea of reincarnation and the associated idea of karma. Wang Yangming (Wang Shouren), probably the second most influential Neo-Confucian, came to another conclusion: namely, that if li is in all things, and li is in one's heart-mind, there is no better place to seek than within oneself. His preferred method of doing so was jingzuo (Chinese: 靜坐; pinyin: jìngzuò; literally: "quiet sitting"), a practice that strongly resembles zazen or Chan (Zen) meditation. Wang Yangming developed the idea of innate knowing, arguing that every person knows from birth the difference between good and evil. Such knowledge is intuitive and not rational. These revolutionizing ideas of Wang Yangming would later inspire prominent Japanese thinkers like Motoori Norinaga, who argued that because of the Shinto deities, Japanese people alone had the intuitive ability to distinguish good and evil without complex rationalization. Wang Yangming's school of thought (Ōyōmei-gaku in Japanese) also provided, in part, an ideological basis for some samurai who sought to pursue action based on intuition rather than scholasticism. As such, it also provided an intellectual foundation for the radical political actions of low ranking samurai in the decades prior to the Meiji Ishin (1868), in which the Tokugawa authority (1600–1868) was overthrown. 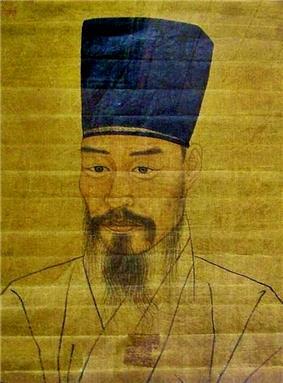 In Joseon Korea, neo-Confucianism was established as the state ideology. Neo-Confucianism was introduced to Korea by An Hyang during Goryeo dynasty (Buddhism was the dominant religion and affected most ideologies of that era). At the time that An Hyang introduced neo-Confucianism, the Goryeo dynasty was in the last century of its existence and influenced by the Mongol Yuan dynasty. After the fall of the Goryeo dynasty and the establishment of the Joseon Dynasty by seowon and 향교 hyanggyo) founded throughout the country. Such schools produced many neo-Confucian scholars, including individuals such as Jo Gwang-jo (조광조, 趙光祖; 1482–1520), Yi Hwang (이황, 李滉; pen name Toegye 퇴계, 退溪; 1501–1570) and Yi I (이이, 李珥; 1536–1584).